I first introduced this bag to my collection last year and will be keeping it for the 2018/19 season. 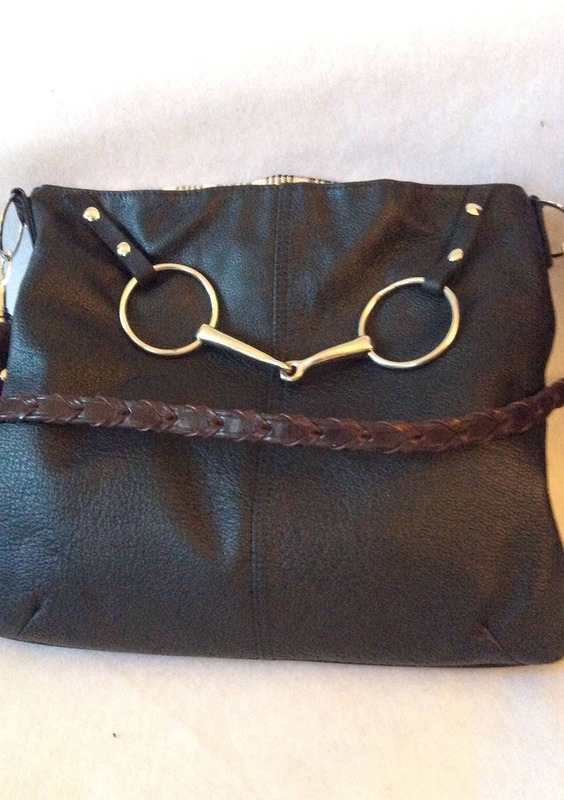 It combines quality leather and a total equestrian look making this your go to bag. 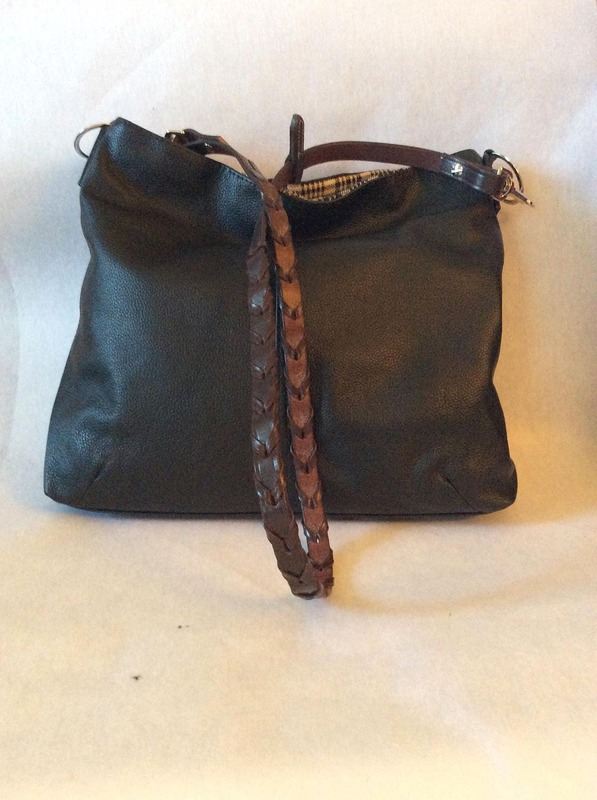 The leather is soft and supple yet sturdy enough to be tossed in the car or your tack trunk. The lining is a brown paisley equestrian fabric “ A Day at Ascot” . It has 1 zipper compartment and a slip pocket. All the hardware is sturdy stainless steel from the rivets to the snaps. 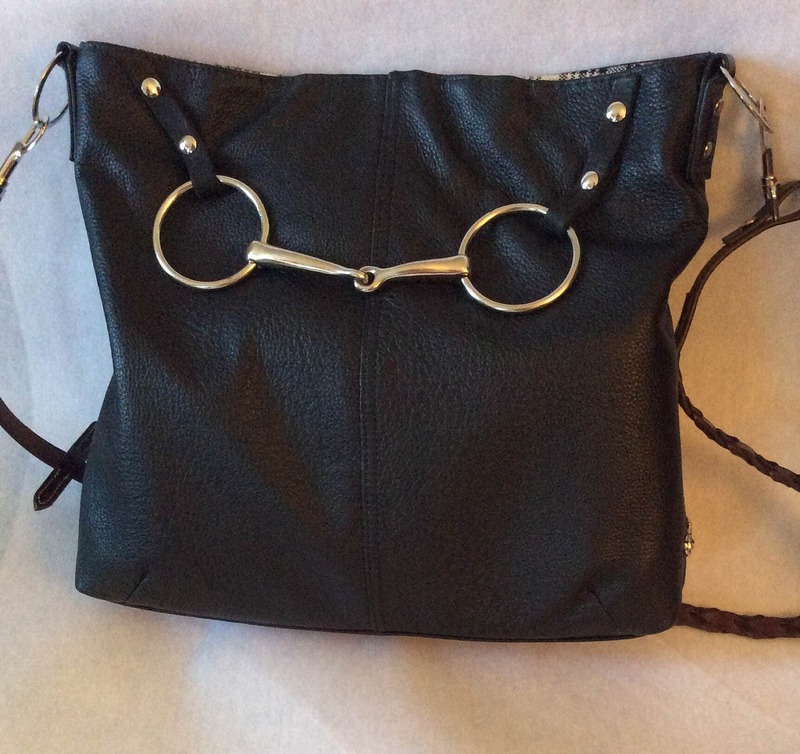 The strap is a braided rein in brown leather and the bag is accented with an authentic snaffle bit. 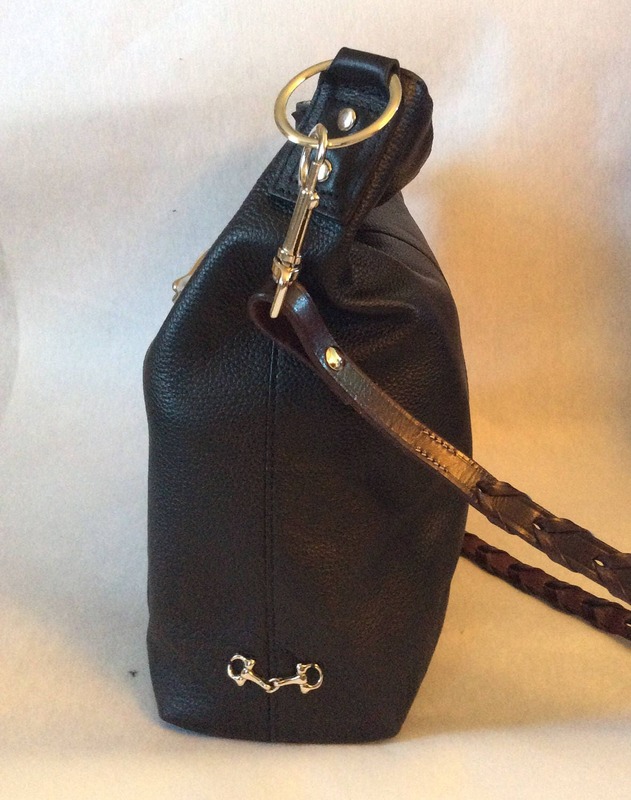 As a signature bag, it has a little snaffle bit on the bag's side. 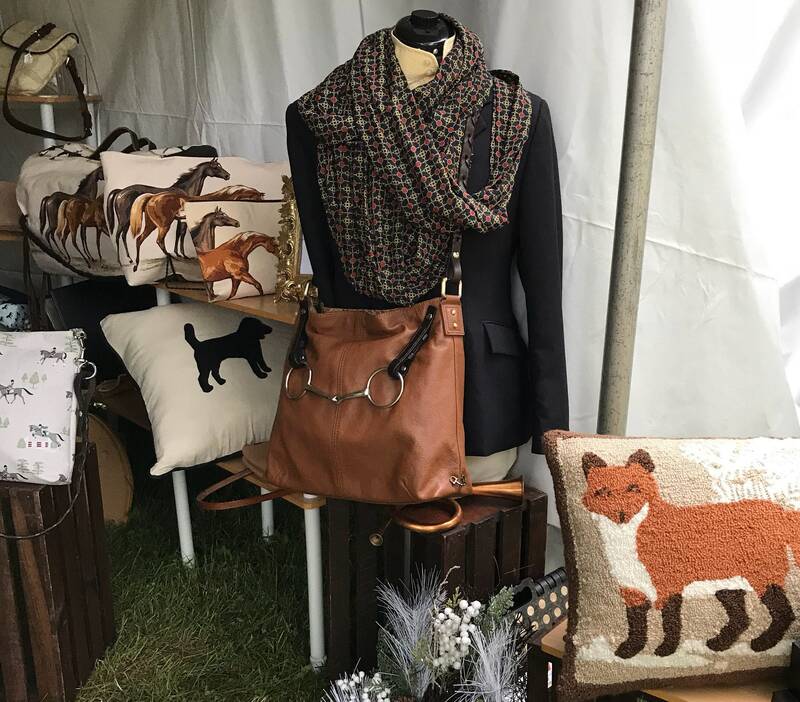 The bag is available in both brown and black. You can also choose a different lining from my luxurious collection. Message me for photos of fabric and prices. The handbag is large enough for everything you need to carry measuring 13"hx17"w. The strap has a 13" drop. 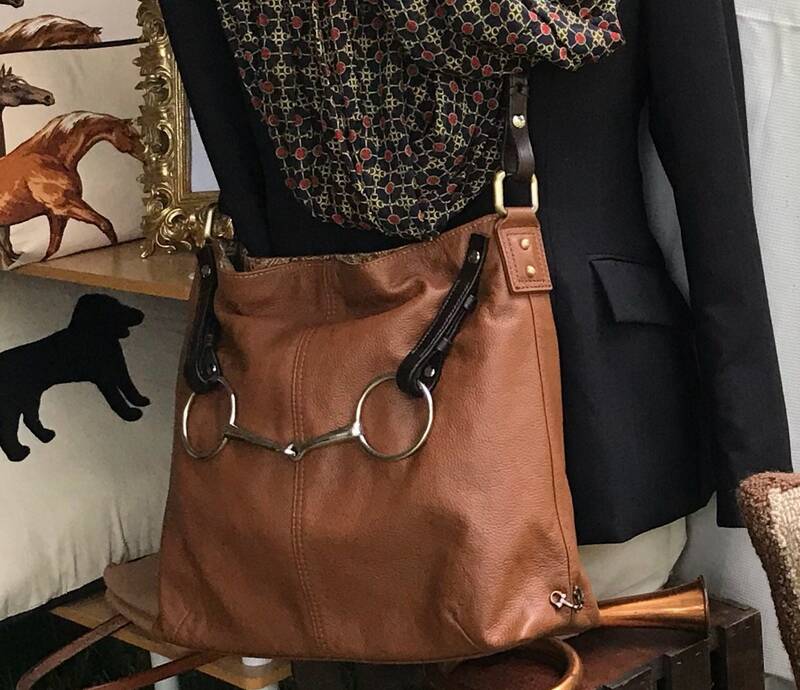 This equestrian bag will be a favorite for years to come. Please message me to create your own bag. If you would like to use your own bit or reins making it more personal, price will be adjusted.